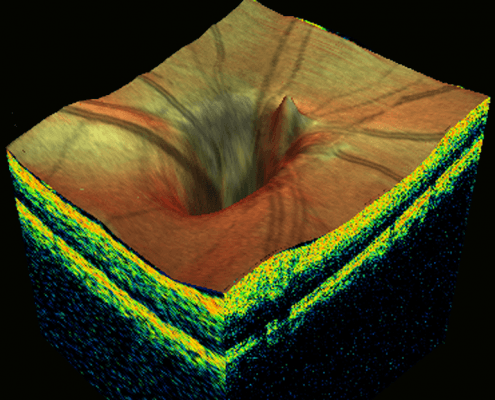 This is the next generation technology for imaging the internal structures of the eye. The OCT is a state of the art scanner that creates a sort of optical ultrasound 3D image of the inside of the eye. This unique way of forming the image means that for the first time we can actually see below the surface of the retina and view the microscopic layers beneath. The retina is the light sensitive area at the back of your eye, equivalent to film in a traditional camera and it has 10 layers. 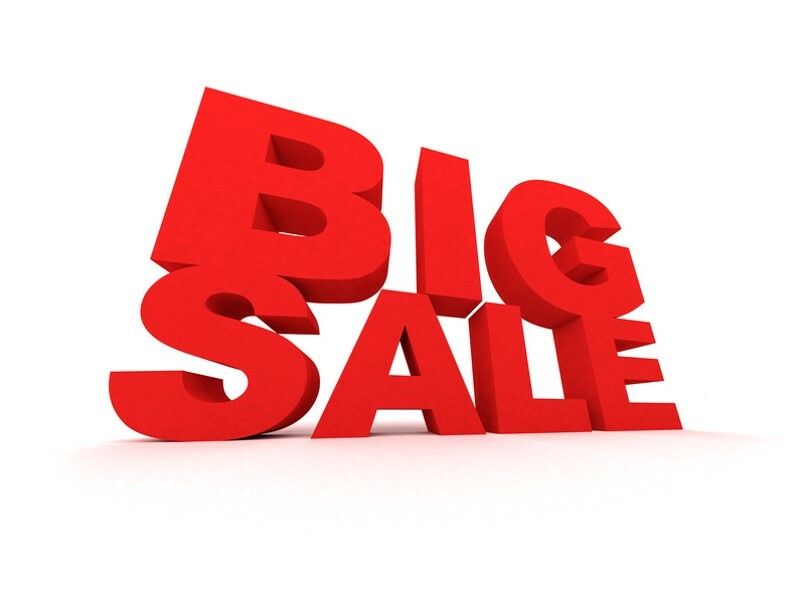 Other equipment, commonly found at most opticians only allow a view of the top layer. This scan is easy to conduct, is simple and painless, and only takes a few seconds to complete. It is suitable for people of all ages and it can pick up any problems at a much earlier stage, usually allowing you better treatment options and a better visual result. Any areas that may be unusual can then be measured and later repeat scans can be lined up with the original so that changes are monitored in an accurate way. 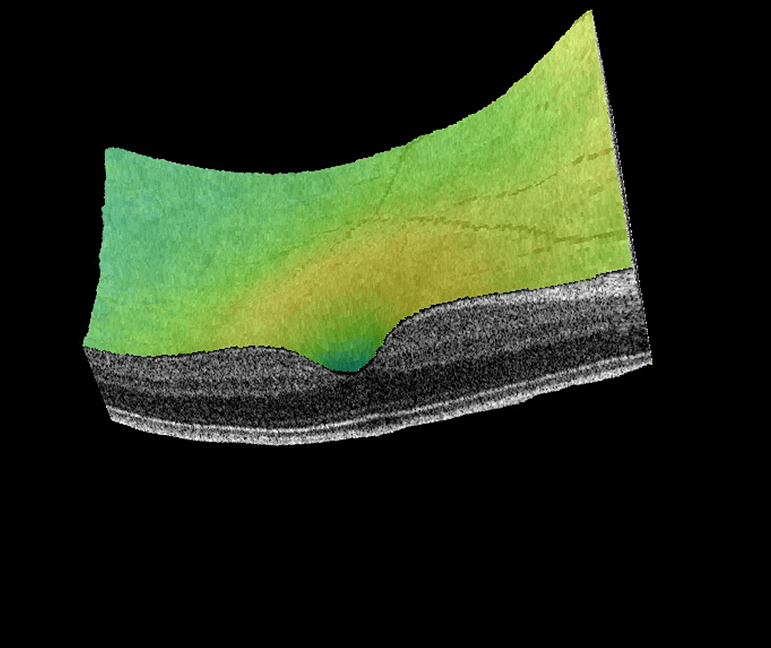 It can also used to differentiate between wet and dry types of macular degeneration, which can help to decide whether treatment may be possible. 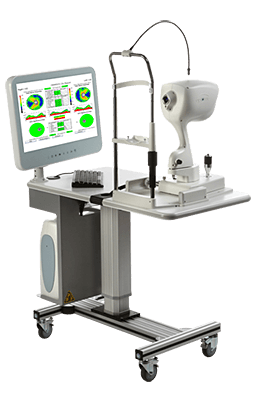 Many other eye conditions can also be diagnosed with this equipment and of course it can also confirm that all is well and the eye is healthy. In summary this new instrument is very versatile and for the first time allows us to check the health of your eyes beneath the surface of the retina, giving the earliest possible indication of your eye’s health. 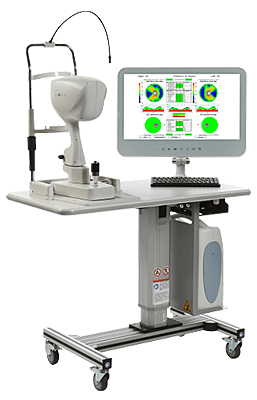 Used together with the Optomap wide-field retinal scanner, we believe this will greatly enhance our ability to ensure the well-being of your eyes and visual system. There are 18 scans that can potentially be performed with OCT technology. At Hammond Opticians we believe in offering the very best eyecare and recommend that everyone should have an initial Complete OCT assessment to measure each of these parameters. These will form the baseline figures and will be used as a reference from which future readings will be compared. 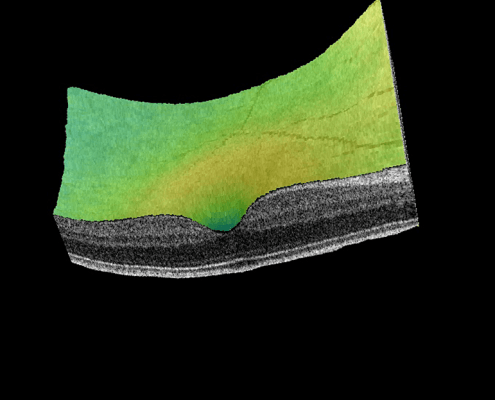 This will allow us the greatest opportunity to confirm your eye’s health by detecting any evidence of change at the earliest stage. 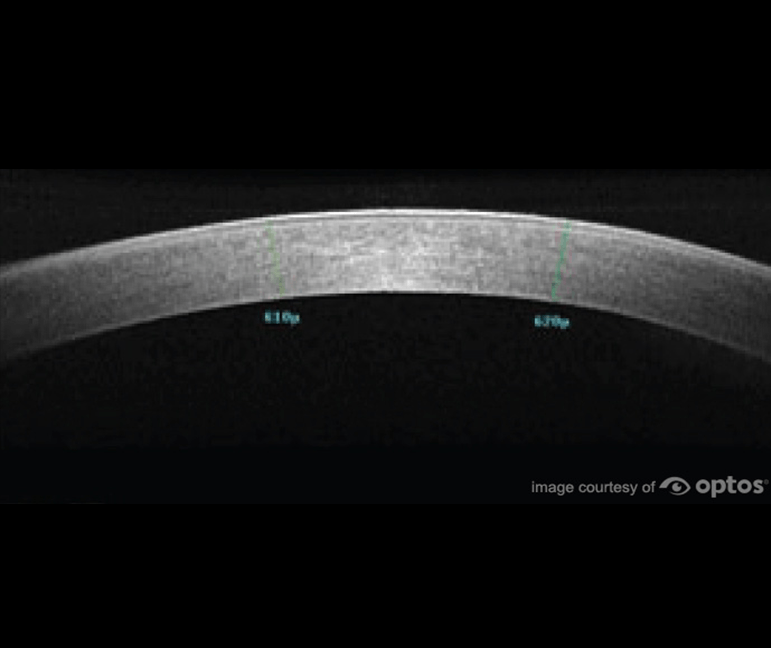 Using the information we measure during the Complete OCT Consultation our expert optometrists will help identify which scans are the most important for you as an individual, based on your age, health and family history. 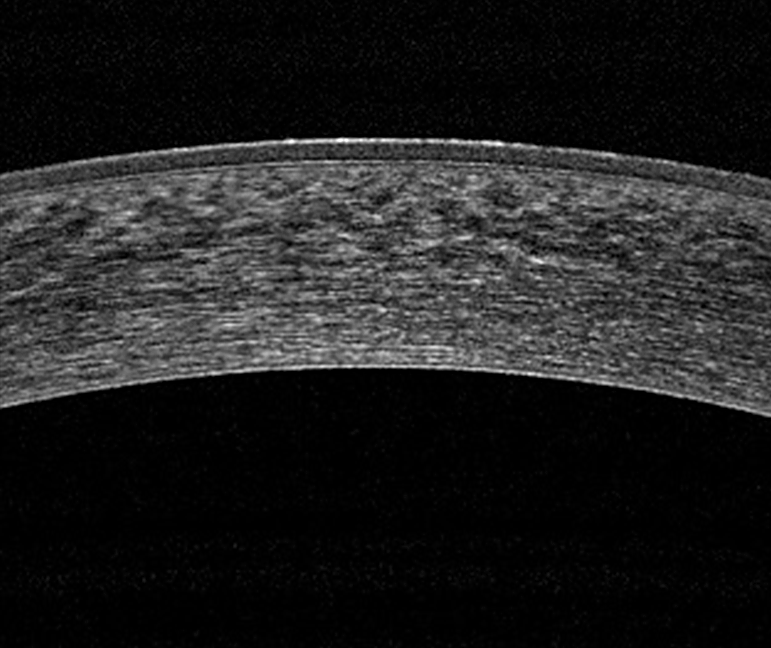 These scans will then be repeated as part of a Platinum Eye Examination at your next visit. 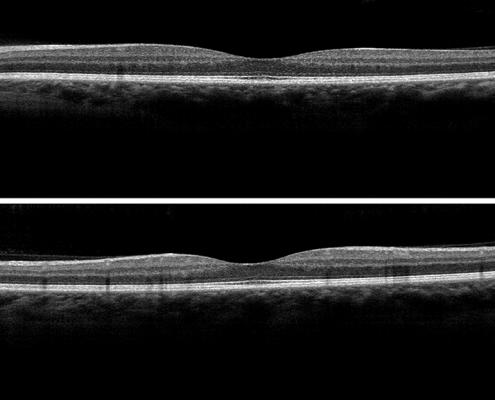 These scans show the central area of the retina called the macula. This is the most delicate part of the eye and offers the most sensitive vision. 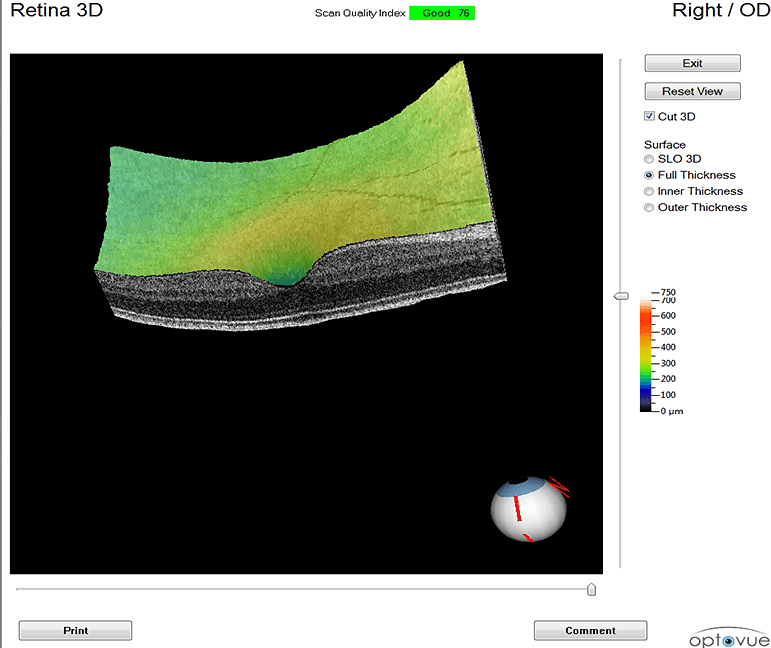 It can be seen in 3D and cross-section. 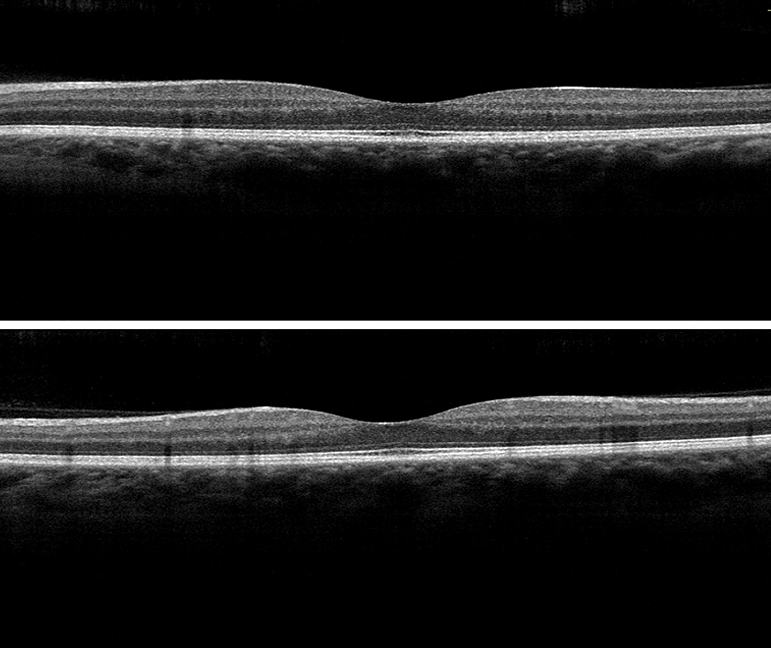 These scans show the corneal thickness and clarity as well as the patency of the eye’s drainage channels. Having been a patient of Hammond Opticians for a number of years, I know this practice offers a service that is second to none with caring, helpful, friendly and professional attitudes from all of its staff. Nothing appears to be too much for them while they naturally go out of their way to achieve the goals of their patients. In view of the will to progress its service, it came as no surprise to me that new technological equipment was installed to enable in depth examination for enhancement of tremendous assessments already on offer at this practice. 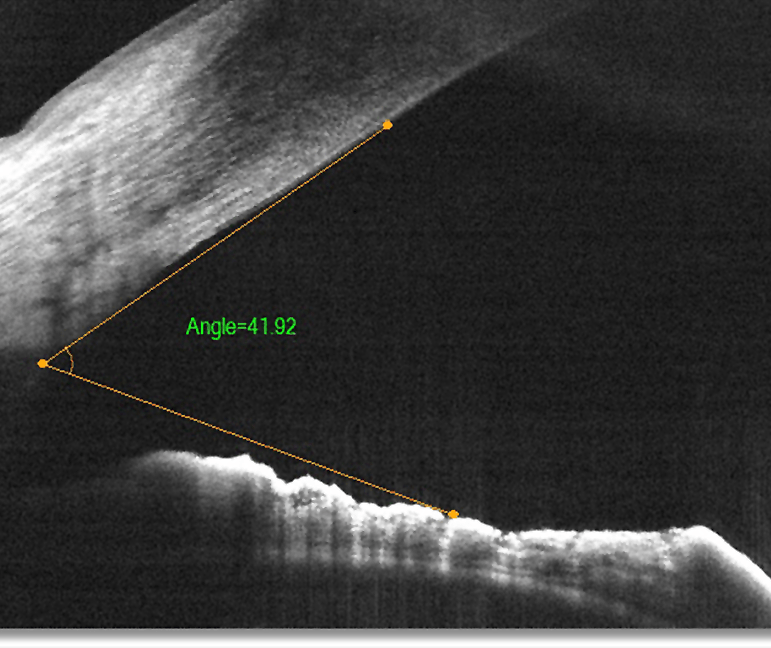 Eye health is of paramount importance and, only due to the expertise at Hammond Opticians, my own diagnosis of ‘wet’ Macular Degeneration (an extremely debilitating condition) was discovered in a young stage a few weeks ago. Early detection was key to immediate treatment but without Hammond’s competence and technology my situation could have been so different. After promptings from my wife I switched from one of the “chains” to Hammond Opticians and what a revelation! I was treated from the very beginning as a person and not simply as another patient on an everlasting treadmill. In addition, the technology on display was far beyond anything I have ever experienced before. Mr Lakhani explained everything with great clarity and lucidity. 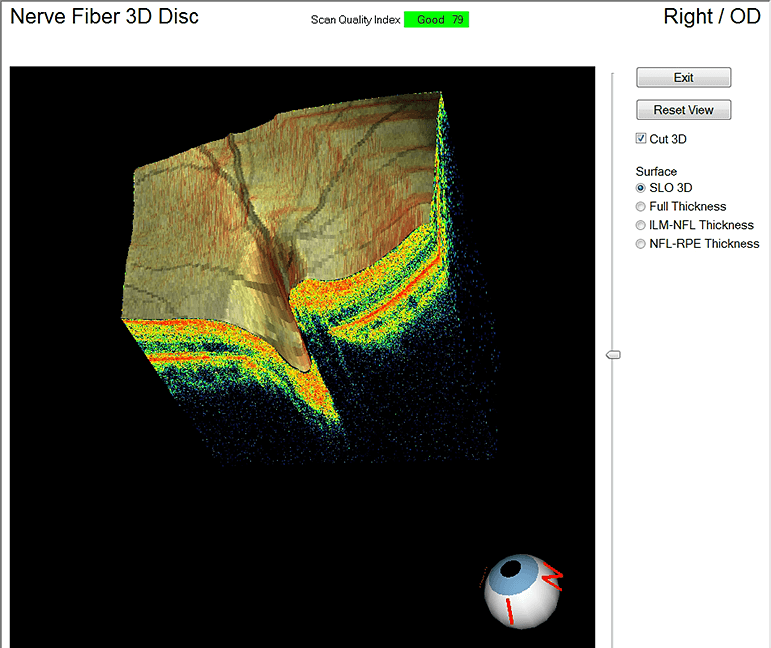 The OCT scanner revealed a fault in my right eye [post cataract operation] which I did not even know I had and for that I am truly grateful. 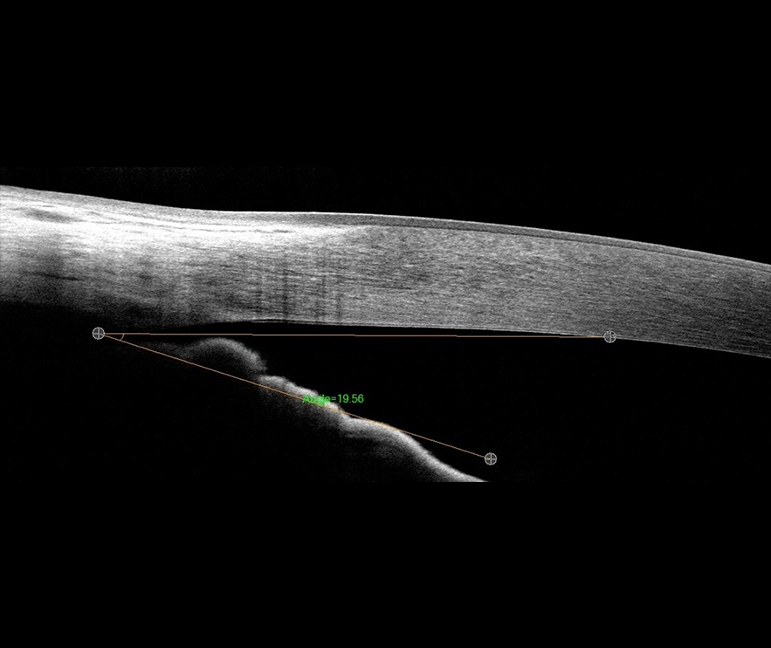 I am writing to thank you for your help in diagnosing the problem with distortion of my sight with your OCT scanner. This technology helped me to get the operation I needed. You also advised and encouraged me to go to Moorfields eye hospital where I had the operation which has been a success. 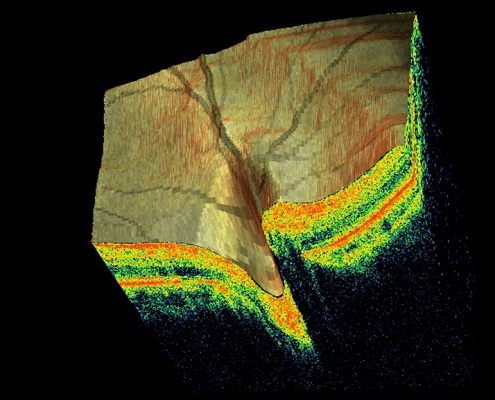 The OCT [Optical Coherence Tomography] instrument was very interesting and useful and it was reassuring to know about the health of my eyes. I am always happy with the latest technology being used in the test and during dispensing. Mr Lakhani and his team are always pleasant and polite and I having been coming to him for my eye care for 14 years. I couldn’t be happier with the quality of my frames and lenses – and all my questions are answered to make me feel reassured.